Today, we’re speaking with Dean Showalter of the Airplane Owner Maintenance Podcast to compare the Mooney M20 to the Piper PA-24 Comanche. Then, we discuss prebuys vs. annual inspections and all about ADs. Plus, aircraft ownership news, the tip of the week, and your feedback about aircraft leasebacks. Be sure to scroll down the page to access all the videos, links, and other resources for this episode. 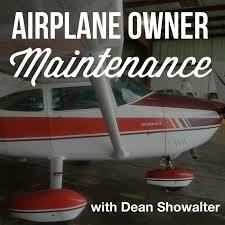 Dean is the host of the Airplane Owner Maintenance podcast. He attended aviation school from 1991-1994 where he earned his A&P mechanic certificates and his private, instrument, and commercial pilot ratings. He became a CFI in 2000 and Inspection Authorized in 2009. He has been working on piston single and twin general aviation airplanes with Classic Aviation for over 23 years—including the Comanche and Mooney that we’re talking about today. You can reach Dean at his website, www.AirplaneOwnerMaintenance.com or by sending an email to Dean@AirplaneOwnerMaintenance.com. Thanks to listener requests, we’re comparing the Mooney M20 to the Piper Comanche. As you’ll see, in some ways these aircraft compete head to head, but in other areas, one out matches the other. Let’s take a quick dive into each of these aircraft. The Piper PA-24 Comanche is a four to six place low wing aircraft produced from 1957-1972. In fact, until 1972, the Piper Comanche and PA-30 Twin Comanche made up the lineup for Piper until a flood destroyed their production lines. The Comanche’s first variant, the 180 introduced in 1957, had a 180 hp normally aspirated Lycoming IO-360 engine, and could fly about 125 kts @ 10 gph @ 75% power. With 60 gallons of fuel, the aircraft could fly about 700 miles with reserves. Then came the Comanche 250 in 1958. This plane is equipped with a 250 hp Lycoming O-540 engine for 150 kts @ 14 gph with 75% power. In 1965, the Comanche 260 was introduced with a 260 horse power engine and four distinct variants: The 260, 260B, 260C, and 260TC. All four variants had fuel injected engines, with other differences and upgrades between them. For example, the TC version featured a turbo normalized Lycoming 540 giving a maximum true airspeed of about 200 knots at altitude. There’s still one more variant of the PA-24, and that is the -400. As you might expect, the 400 boasts 400 horsepower with an eight cylinder IO-720 engine. 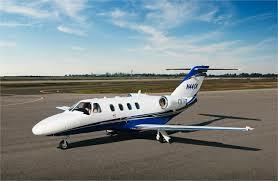 Surprisingly, the added horsepower only gives the aircraft about 185 knots, burning a thirsty 23 gph at 75% power. To date, there are only two PA-24-400s for sale ranging between $85,000 and $150,000. Now for the Mooney M20, with more variants, upgrades, and features than I can count. The original M20s began production in 1955 and featured wooden wings – compare that to the most recent Mooney M20V Acclaim with a composite shell. For starters, the M20 comes in three distinct lengths: The short body M20-M20E, the mid-size body, M20F-M20K, and the long fuselage M20L-M20V. All-in-all, the Mooney is a four place, high performance single-engine aircraft comparable to the Comanche, Skylane, and earlier Bonanzas. However, the M20B can be compared almost side-by-side to the Comanche. The M20B was introduced in 1960 and features a O-360, 180hp engine, similar to the Comanche 180. Interestingly, Mooney made a fixed gear, fixed-pitch propeller version of the aircraft to compete with the Cherokee 180 with the option install factory retractable gear when the owner was ready to upgrade. But the Mooney lacked a lot of performance until 1964. M20E was introduced as the Chaparral and Super 21 from 1964-1975 with a 200 horsepower fuel injected Lycoming IO-360 engine. The M20E is the fastest of the short-body models. Turbonormalizers were aftermarket options for the M20E, F, and J models. The M20J, also known as the 201 for its ability to fly up to 201 mph in level flight, was introduced in 1977. It had a 200 horsepower IO-360-A3 series engine. Though the engine is significantly smaller than that found on the Comanche 250, the Mooney outperforms its thirstier counterpart. Though with any airplane, there are trade offs. While the Comanche 250 consumes more fuel than the Mooney, it has a greater useful load and better power to weight ratio, again reemphasizing the importance of knowing what your mission is. In 1979, Mooney introduced the M20K, known as the Mooney 231. It featured a factory turbocharged 6-clyinder TSIO-360-GB engine producing about 210 horsepower. But this engine had its flaws, particularly with managing engine engine temperatures in hot weather and high density altitude airports. So, in 1986, the 360-GB engine was replaced by the intercooled 360-MB engine, capable of flying up to 252 miles per hour and re-marketed as the Mooney 252. In 1988, Mooney came out with the M20L model, the first long body version, and equipped with a Porsche-derived engine producing 217 horsepower with speeds of about 161 knots. Marketed as the Mooney PFM, production on this model ended in 1990. In 1989 through 2006, the Mooney M20M Bravo featured a 270 horsepower, turbocharged engine. Then in 1994, the Mooney M20R, known as the Ovation, featured a 280 horse, normally aspirated engine. The Ovation was also Flying Magazine’s plane of the year. The M20TN Acclaim is the latest version of the M20 design produced, and is powered by a turbonormalized Continental TSI0-550-G engine with dual turbochargers and intercoolers. The Acclaim replaced the Mooney M20M Bravo in the company product line. There are also variants to both of these models known as the Ovation and Acclaim Ultra respectively, featuring composite materials, upgraded avionics, and pilot’s entrance door. Now there are many STC upgrades available, applicable ADs and other maintenance considerations on both the Comanche and Mooney aircraft, so be sure to get a thorough prebuy evaluation before signing the dotted line. Livestream with Don this week! Click the image above to join the livestream! A question we often get is, "The airplane just had an annual. Isn't that an adequate prebuy?" While many prospective airplane owners think an annual will suffice for a prebuy, this simply isn't true. This is because annual inspections are not designed to find items that affect the overall value of the aircraft. In short, annuals and prebuys have different objectives, utilize different methods and yield different results. Annuals are limited in scope and meant to find safety of flight issues - not cost of ownership issues. In most cases, annuals are organized by the seller, meaning there is no one there to represent you and your interests. Plus, the aircraft may have to be flown to a mechanic or maintenance facility which may cost you even more time and money. If you have annual done in place of a prebuy, the annual must be completed regardless of whether you decide the buy the aircraft - at your expense! Finally, the results of the annual inspection must be made in the aircraft's logbook(s) with an approval for return to service, and all airworthiness defects must be corrected. On the other hand, a prebuy inspection is unlimited in scope and can be as comprehensive as you see fit. It is specifically tailored for the make and model aircraft and you may discontinue the examination at any time. Prebuys look for different things - How has the aircraft been utilized? Where has it been stored? Who possesses the title? How frequently has the aircraft flown? Are there signs of damage or major repairs? Has the airplane ever made a gear up landing? Has the airplane ever been on fire? Is the equipment listed on the specifications actually in the airplane? How does the airplane fly? As you can see, there are many things that an annual does not tell you. Even the most honest and forthcoming sellers may not have these answers. Simply put, an annual is not a substitute for a quality prebuy.